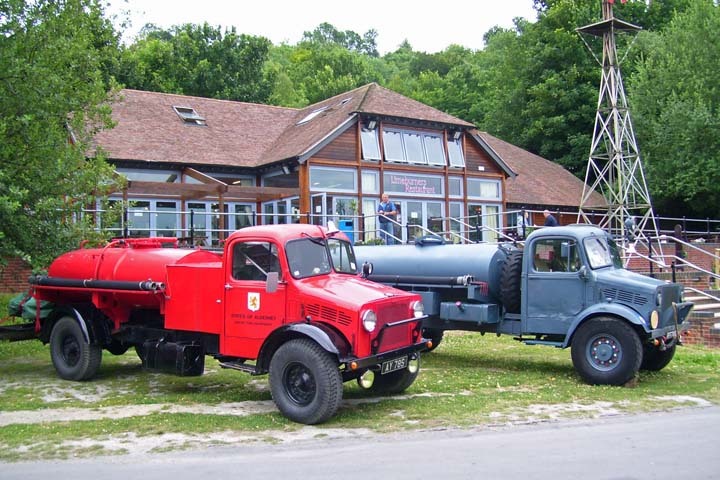 The appliance on the left has appeared on the site before(photo #4658),its a 1942 Bedford OY water tender from the Channel Islands.Where as the appliance on the right still in its wartime military grey,is a 1944 Bedford OY fire engine/water bowser.Its military number was 87-RN-24.Nice to see these two of a kind together for the first time this year at the Fire Show held at the Amberley Working Museum in Sussex. not good enough to put on the site. Added by Pete Matten on 08 July 2008.